While some revel in this new beginning, the majority of students in the state probably still wish it was still summer. But for a large portion of those students, they can find joy and comfort in the thrill of racing. For those ones, today will be very joyful. Today may not be quite the biggest day of the season thus far, but it is certainly filled with the most races. 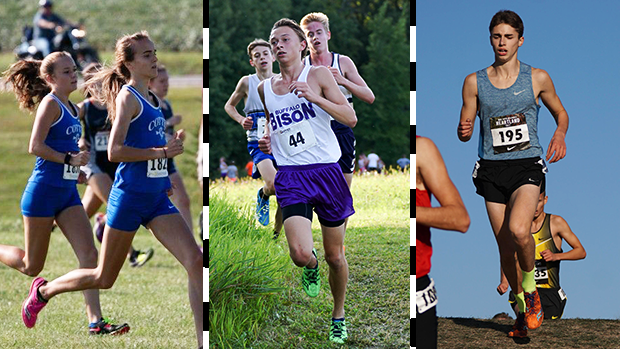 Sixteen courses have been prepped for today, not the least of which being the stacked Bauman/Rovn field at the famed Gale Woods Farm in Minnestrista (the home course of both Section 2AA and Section 6AA, not to mention the Lake Conference Championships), or the massive competition in Montgomery for the Gerry Smith Invitational, or the rescheduled race in Wadena from last Tuesday. If the first half of the week was the clam when it comes to cross country races, then today is the storm, and we have it all covered. Good luck to all of today's runners!